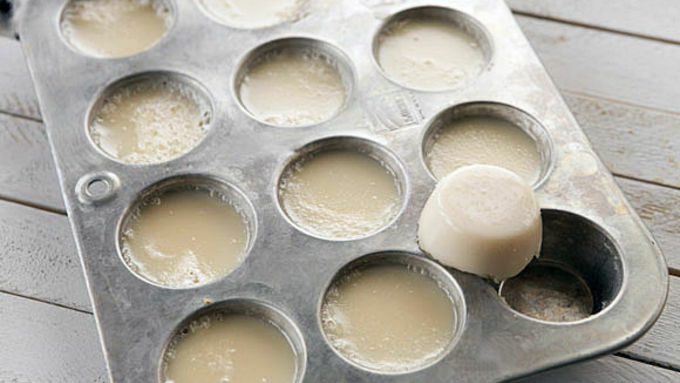 Gently heat water and condensed milk in the microwave until it is steaming, but not foaming. 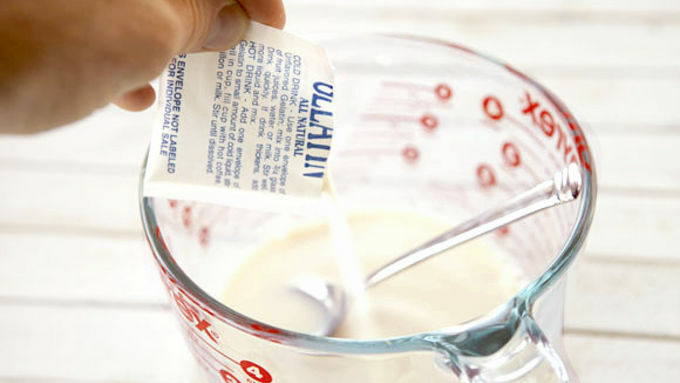 Sprinkle in gelatin and stir well to melt the gelatin. Pour in vodka and hazelnut liquor and stir well. 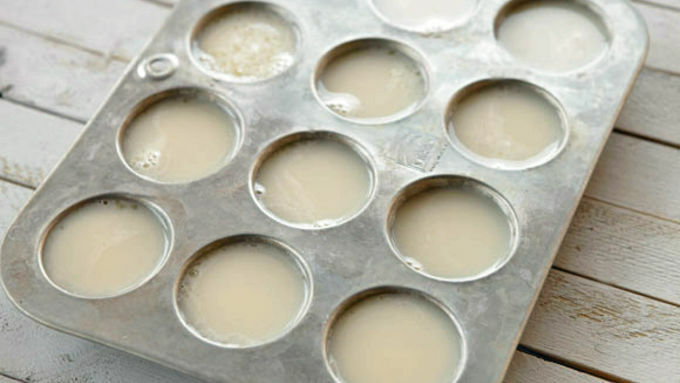 Pour mixture into mini muffin tins. 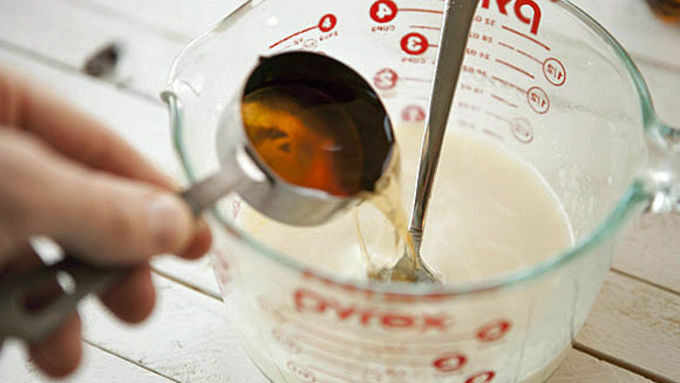 You should get about 12 out of the amount of liquid. Chill in the fridge for four hours. Meanwhile, melt chocolate in a double boiler over a water bath or in the microwave on low. Then drizzle over bite-sized pretzels. When shots are firm, remove from pan. 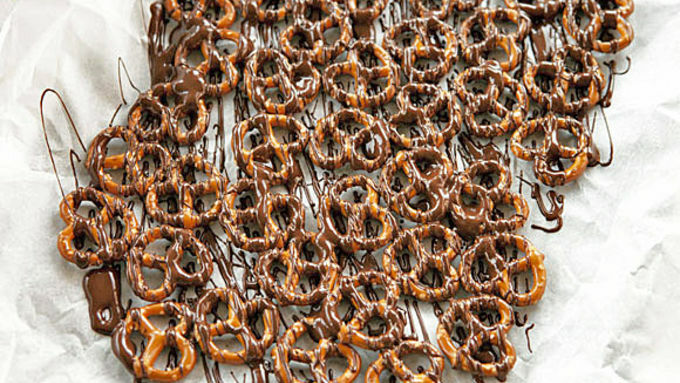 Serve topped with chocolate pretzels and a sprinkle of sea salt. If it's a good shot, there's probably a way to make a jelly shot out of it! Find a seriously good flavor combination, that’s at least somewhat sweet, and there will be an alcoholic shot out there based on the flavors. In this case, the shot and the food aren’t exactly the same, but they go perfectly together. 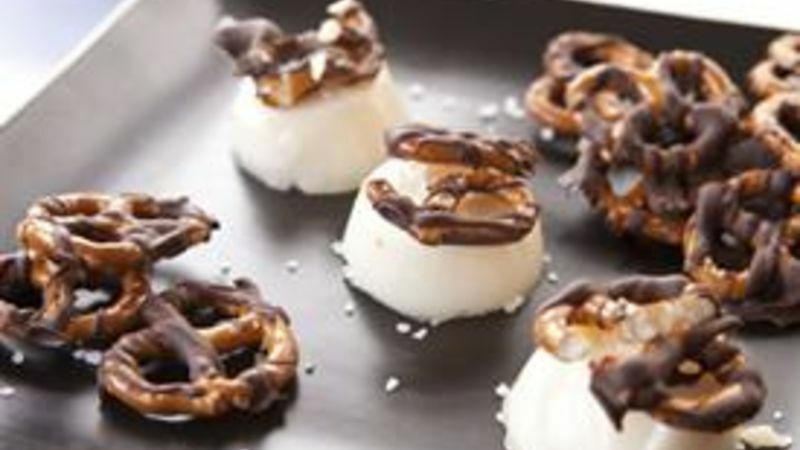 The shot is a sweet marshmallow hazelnut shot and the snack – chocolate covered pretzels with sea salt. 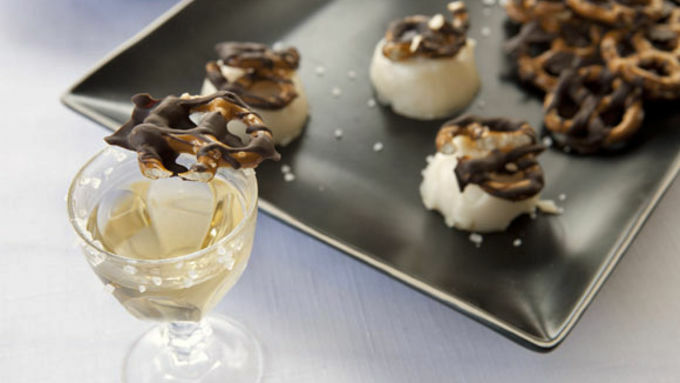 Eat them together and the delicious Chocolate Pretzel Jelly Shot is born. These shots are pretty strong, so you’ll need a fair amount of gelatin to get them to firm up. Top each shot with pretzel pieces/crumbles and a sprinkle of sea salt. I tried the drink as an actual shot and as a jelly shot and I actually preferred the jelly shot! Go figure. If you’re going to a party with alcohol this holiday season, consider bringing these suckers. You’ll be the life of the party!